Vitebsk is remarkable due to the fact it could be proud of its original history with unique art memorials. Because the city is famous not only for the rich cultural heritage – one should also mention about the particular architecture of Vitebsk, which differs for the identity, grandeur and solemnity. If it is still difficult for you to choose what to see in Vitebsk, city portal VitebskCity.by may help you to make the right decision. 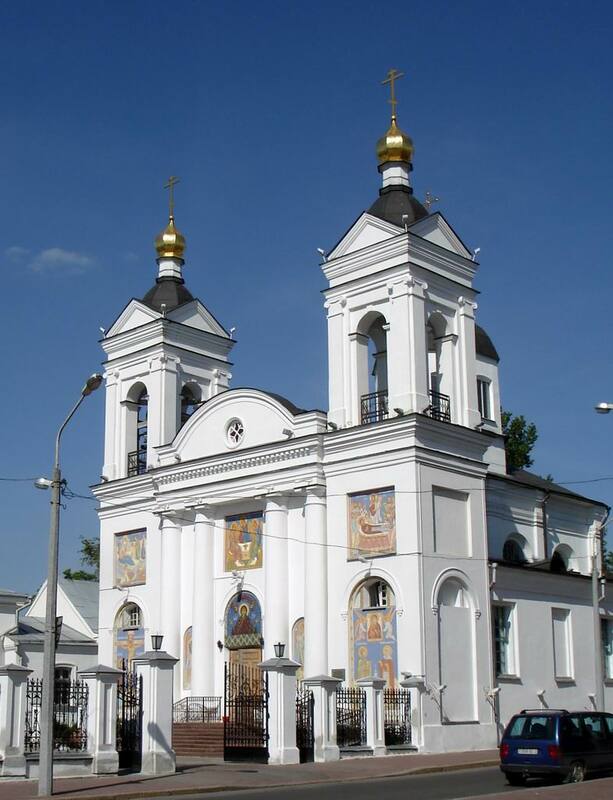 Examining the culture of Vitebsk, you should first get acquainted with the churches, many of which having long history. For example, the Intercession Cathedral. Majestic, solemn, restrained, and at the same time featuring refined luxury – the temple rises its golden domes above Vitebsk, as if blessing the city of prosperity and success. But only the pages of textbooks know what obstacles to it were prepared by the history. 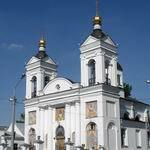 It is therefore not surprising that the church is recognized as the main temple of the numerous churches in Vitebsk. Originally the Intercession Cathedral was Roman Catholic. It belonged to the Order of Trinitarians, and was built in classical style in 1821. As the history of the city of Vitebsk testifies, first there was a wooden church which foundation was laid in 1758. In 1831 it was decided to close the Catholic Church and the monks who were there, were expelled from the city. A monk two-storey building accompanying the church, was later redesigned into a shelter for orphaned children. That was in 1840, but after ten years instead of the shelter a women's prison was opened. All this time the church had been empty. It was only in 1858, when it was given to the Orthodox Church, the life returned here. Reconstruction had begun - and soon, the parish faced the temple instead of the Roman Catholic Church. However, it was decided not to change the basic architecture and the layout. By the way, the repairs were carried out on the donations of one of Vitebsk merchants. It was industrialist Gregory Volkovich. The reconstruction was completed in 1865 - and the Intercession Church bells sounded for the parishioners, now - the Cathedral. In 1913 the church was rebuilt again in honor of the 300th anniversary of the Romanovs. During the reconstruction of the central part of the Intercession Cathedral a drum with a dome and two towers was built, and a triangular pediment became semicircular. But in 1930 the Soviet power closed the Intercession Cathedral. Such an order related the other Vitebsk temples. Since the beginning of World War II, during the German occupation, the bells of the Intercession Cathedral rang again, that was overjoyed by Orthodox believers. And in August 1941 the church experienced one more important event: as Vitebsk history shows, the relics of Saint Euphrosyne of Polotsk were transferred here. They were here until 1943. It's no secret that the war is ruthless. So the architecture of Vitebsk experienced difficult years of the war years, losing the original and unique works of art. It is not difficult to guess that the Intercession Cathedral also hurt: the towers and the roof were destroyed, the dome was abolished. By the way, after the war they did not fasten to recover the church, but there wasn`t an order about its demolition either. However, the time put everything in its place, slowly destroying the church and quietly wiping out the bright attraction of Vitebsk. Although in 1980 the situation changed, and it was decided to demolish the Intercession Cathedral after all. And, in fact, the insidious plan was close to implementation, but people only managed to save the relics due to confluence of circumstances: first, alterations were obvious and, secondly, movement of intellectuals "Uzgorye" has played its significant role: the people rose to defend the church. For the first time the matter was got off the ground in 1986 when the government made the final decision to rebuild the temple. The restoration was carried out according to architects Ratko and Lyadenko and ended in 1992. Although the first service at the Intercession Cathedral was held much earlier – on the feast of the Holy Virgin October 14, 1990. The memorials of culture Vitebsk include September 25, 1998, when the temple was attended by His Holiness Patriarch of Moscow and All Russia Alexy II. And it is not surprising, because the Intercession Cathedral collected the true deposit of the relics with hallows: it is the icon of St.Innocent of Moscow, St.Ioannes of Korma, St.Dimitri of Rostov and others. The Cathedral occupies its prominent place among the attractions of Vitebsk architecture. It`s not just the long history. Special wonder is inspired by paintings made by a true master, Moscow painter Vladimir Sidelnikov. The Intercession Cathedral opened a refectory, a Sunday school and a parish library. There are painting and clothing shops, a sisterhood. And in the monastery building, which was built next to the cathedral, opened an assigned temple named after of St.Martyr Aphanasius, abbot of Brest. 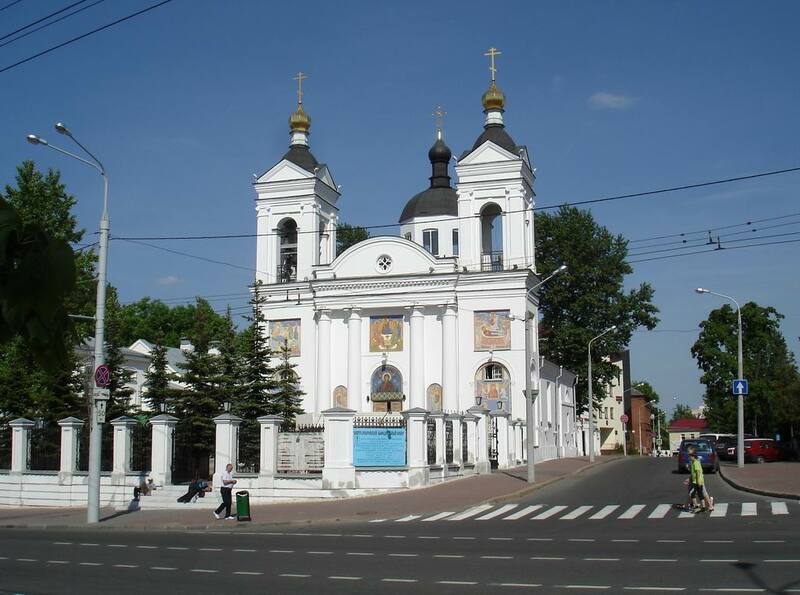 Vitebsk site contains full information about other attractions in Vitebsk, located close to the Intercession Cathedral. They include Victory Square and Lenin Street. There are some interesting facts from the history of the construction of the Annunciation Church and Church of St.Prince Alexander Nevskyl. Contacts: +375 212 374831, 425743.